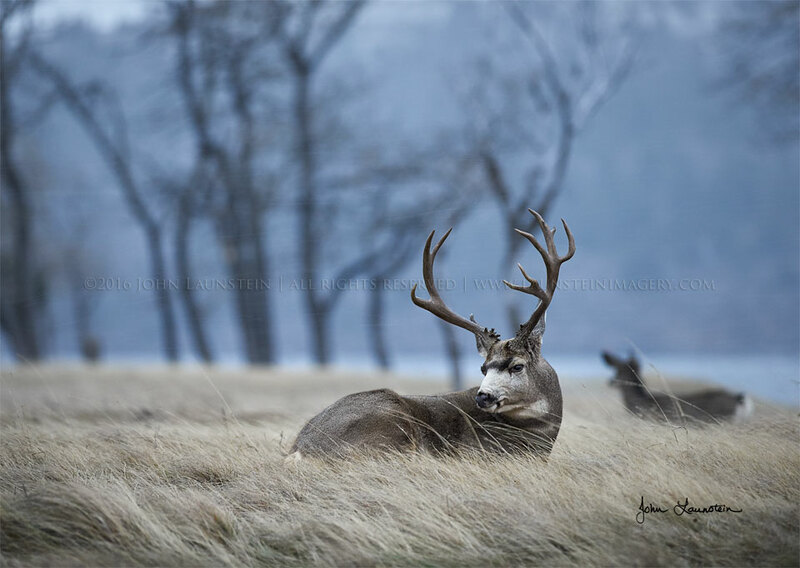 On Christmas Day, 2010, the Launsteins met this magnificent Mule Deer buck when he appeared leading a large herd of does and youngsters. The family named him Christmas Buck and photographed him often over the coming years. His right antler no longer matches the impressiveness of his left, but he is a remarkable animal full of character and has become a treasured friend. John captured this moment as he tucked into the grass amidst the driven snowflakes at the onset of a winter storm.